Lost in Shibuya out now! Lost in Shibuya is the result of a frantic couple of days in November, 2013, during which photographer Ray Mock criss-crossed the Tokyo neighborhoods of Shibuya and Harajuku in search of the marks left behind by locals and travelers in order to better understand the city through these traces. He entered the warren of side streets, stores, clubs and arcades stacked three or four stories high with a blank mind and little expectations, and after total submersion into the chaos of the city he left with new friends, lifelong impressions and hundreds of photos documenting graffiti and street life. 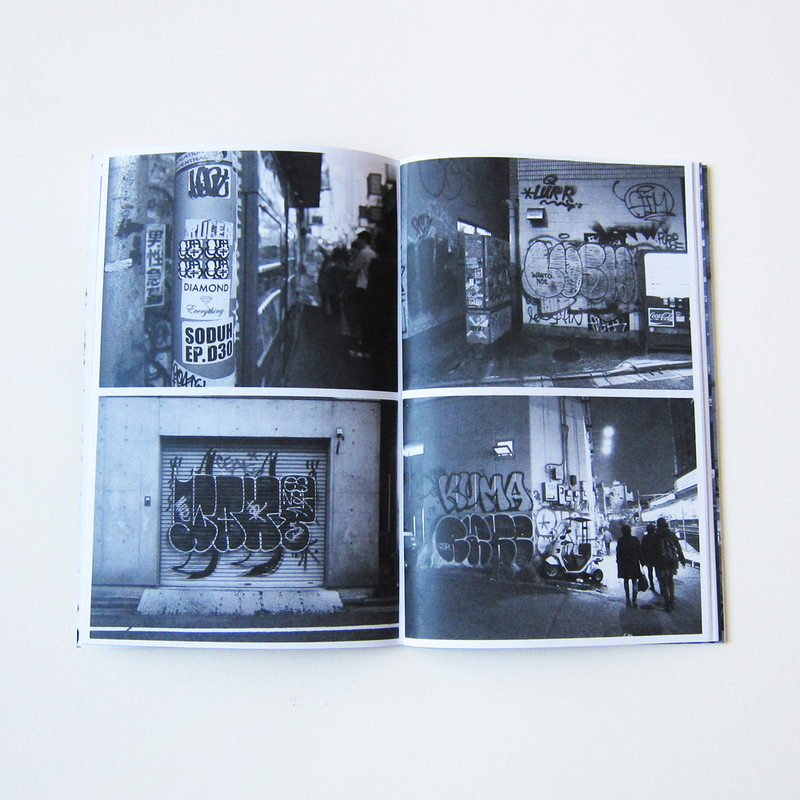 Lost in Shibuya is limited to 300 numbered copies, comes with a screenprinted and hand-painted cover and features 60 pages of the gnarliest illegal graffiti from Tokyo, including Wanto, Sect, Rust, MQ, Soduh, Tom, Shaka, CQ, Kuma, False, Lush, Zombra, Adek, Hype, Resq, Buket and many more.